DIARY OF A PUBLIC SCHOOL TEACHER! : Help! : I Cannot Do This "Education Thing" By Myself! Help! : I Cannot Do This "Education Thing" By Myself! Usually, I take this "education thing" in stride. I deal with the every day ins and outs, trying to avoid as much stress as possible. But the other day, grrrrrrrr....I was so frustrated! I can not do this education thing by myself! I need this to be understood. As much as the buck seems to stop with me, I can't do it by myself. As often as it seems that I am doing it by myself, because others can't, or won't, it shouldn't work that way.Other people have to step in to make it a success. I know it happens. A child is sent to school and the only learning that takes place is in the classroom. There is no conversation at home. No one picks up a book. No one makes sure that homework is done. The responsibility of the adult that gave birth to this wonderful human being is next to none. And that child is successful, nevertheless. But that does not happen often enough. We need our babies, no matter how old they are, to go home and have a conversation. Need them to eat dinner at a table and talk about their day. Someone to read a bedtime story. Someone to make sure homework is done, or that they watched the video that will help where they are having trouble. Someone to smile at something they have written. Someone to look at photos of amazing things being done in the classroom. Someone to respond to an email, a letter, a phone call. I am doing my part. And no, I don't want to hear how I need to step up because others won't. I am tired of hearing that! I always step up, and over, and beyond. Maybe that's how we got in this mess in the first place. If someone else is always willing to go that extra mile, the other person can always take a few steps back. I told my kids the other day, "If someone is struggling, and they do nothing at all to change their circumstances, they will continue to struggle." If someone does not take advantage of all that is put forth to help them, they will continue to struggle." "It's okay to try, and still struggle, but to do nothing..."
A ray of light shone on me that gave me hope. Maybe someone heard my little speech. A student who had been struggling with math concepts came in and was knocking it out of the ballpark! I laughed and said, "Girl, you are on the ball today! What did you do?" She beamed, "Mrs.M, I studied!" Snaps and a high five! That's all I ask. Meet me part of the way, and let's make this "education thing" happen! It’s not what I do. That used to have some clout. I had some form of identify within my community. Now people look at me as a teacher in two ways: Out of pity, or as a scapegoat. At what point do we stop changing everything we do in education and start asking our parents to do more? Truly, I became a teacher because I wanted to be the difference, as others had been in my life. They challenged me, demanded respect from me, didn’t settle for ‘good enough’ from me, and they believed in me. Even when I didn’t believe in myself, they believed in me. Wow. Never in my teaching career have I ever once thought I can’t do this forever. Actually saying that out loud right now feels good and I know that’s scary. Trying to be what the state feels I should be as a teacher has made me more negative, less inspiring, frustrated, and even more under appreciated. 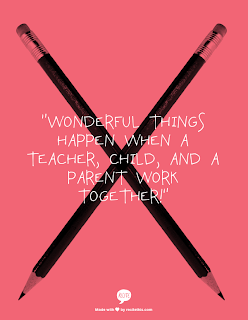 When I go home in the evenings, I have several more hours of work to do and I have a family and my family continues to suffer because of my job as a teacher. I am exhausted and tired of data. I have given you everything I have and then some. In my classroom, it used to be if I just shut “you” out and closed my door, than we were ok. I found inspiration in that because they were all I ever needed, but you’ve taken that away. You’ve taken away the one thing that I’ve known more than anything else throughout my career: That I could get better. I’m now not sure if that’s enough for you. The heart I used to freely wear on my sleeve is now pushed down deep in my pockets. When I hear those bells, I count the periods until it is time to leave (and I’ve never felt that way). I still schedule my night around my teaching, but it used to be “my night,” not yours. I know I can be replaced, but in what other profession would you want to hire a guy that’s “not as qualified” as me because it’s cheaper to do so? In what other profession do you get stuck under contract because if you leave you lose thousands of dollars or other benefits? (And that’s not what they are fixing in education, btw). Education cannot be run as a business. In business you can still succeed with no personality. It’s vital to maintain that human connection. That is the X factor that you are taking out of a vital equation. I cannot successfully do my job without it. How could you not get that? How could you not want that? I’ve forgotten what it feels good about education and that’s sad. If they are doing this to our teachers, what are they doing to your children? Thank you so much for sharing Amy! We feel your pain! I hear you...The sad thing is the kids are 'in' the system with us and they can't leave! New Zealand is going down the data track-still fighting! There are many good CBSE schools providing good educational facilities for the student. But some time student feel stressed. You really shared very motivated lines. 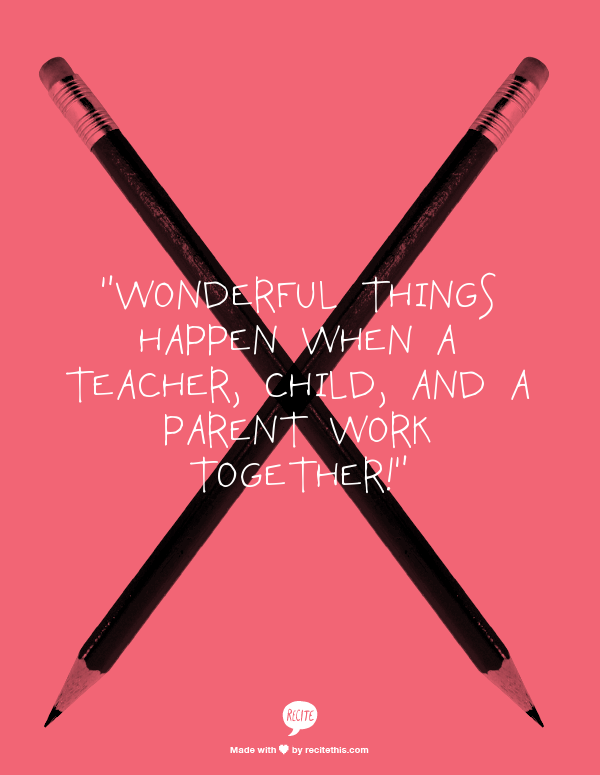 Parents and teachers really need to push the confidence of the child together.